Training of foreign students is one of the top priorities of the state policy for many countries, including Ukraine, transferring its cultural and national values through educational services for foreign citizens. 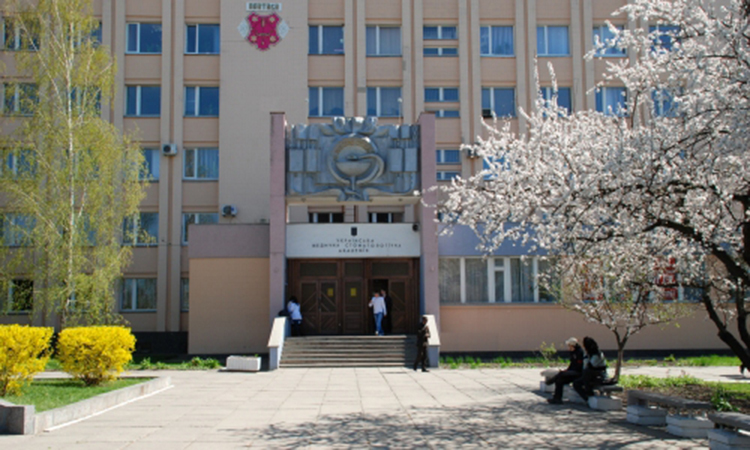 HSEE of Ukraine “Ukrainian Medical Stomatological Academy” is one of the most active medical HEIs in this context. During the time of its existence the Academy has acquired lots of positive experience in internationalization of higher medical education, particularly in the organization of the educational process for the proper training of medical professionals for other countries. Since 2002 the Faculty council and cycle methodical committee for foreign students training has been operating in the Academy. Its main functions are the development of the methodical foundations of foreign students training and its quality control in the departments. Starting from 2004, the training in specialties “Medicine” and “Dentistry” has been carried out in English. The Administration of the Academy selects the most experienced educators from a number of professors who efficiently use the material and technical tools and apply innovative learning technologies to provide quality education to international students. The main focus of the Faculty is to train highly skilled, globally competitive medical professionals who possess basic and vocational training aimed at achieving high end results in the sphere of public health in their countries, who are brought up in the spirit of the best achievements and advances of science and culture. The employees of the Dean`s office and the supervisors of the academic groups carry out various events, aiming to make international students comply with moral standards of behavior in their new social and cultural environment and create friendly relations between different ethnic groups, promote healthy lifestyle. Foreign students actively take part in amateur performances, sports life and scientific work of the Academy. Many times students of the Faculty of Foreign Students Training won prizes at student conferences with presentations in English and Russian. During its existence the Faculty trained highly experienced medical professionals for more than 50 countries. For the admission to the higher educational institution foreign citizens must personally submit a written Application Form to the relevant Division/Admission Board. 2. Supplement / official Transcript to the document about previous educational qualification (original document and a copy) (if any). 4. Document, containing the curriculum of the previous higher educational level, credits earned by the student, the entry date and degree date of educational period and academic record (in case the student applies for Master`s degree or other kind of postgraduate education). 9. Research proposition in the relevant academic field of study, list of scientific publications and inventions in Ukrainian or English, verified at the place of present employment/education of the applicant (in case a foreign citizen applies to pursue postgraduate education). – copy of the diploma certifying the relevant scientific degree. – Twice a year, before and in the beginning of academic semester (before November, 1, before March,1) for training in undergraduate, graduate and post-graduate programs (Junior Bachelor, Bachelor, Master). – During the year for post-graduate study, doctoral program, clinical residency and internship, pre-university courses and academic mobility (student exchange).